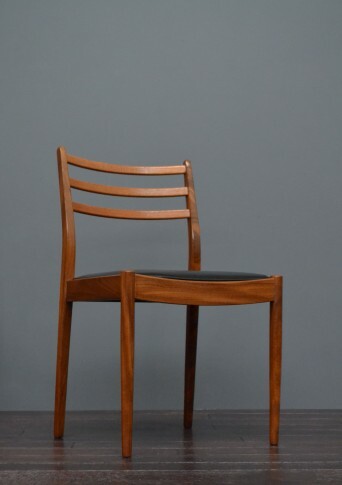 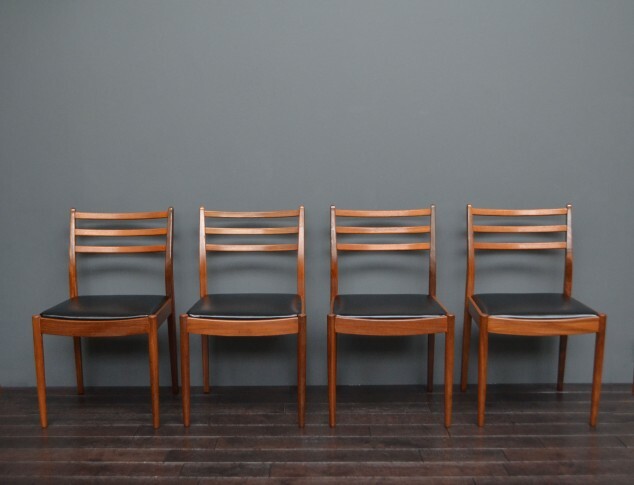 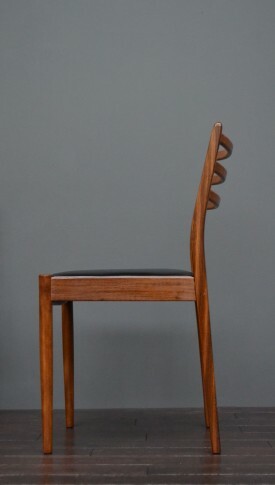 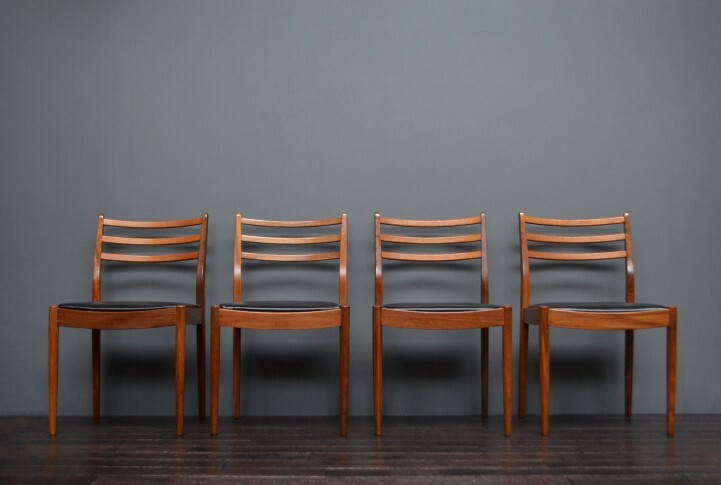 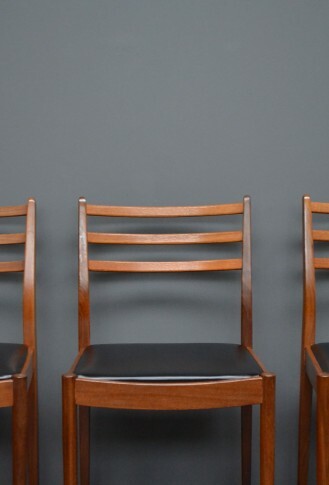 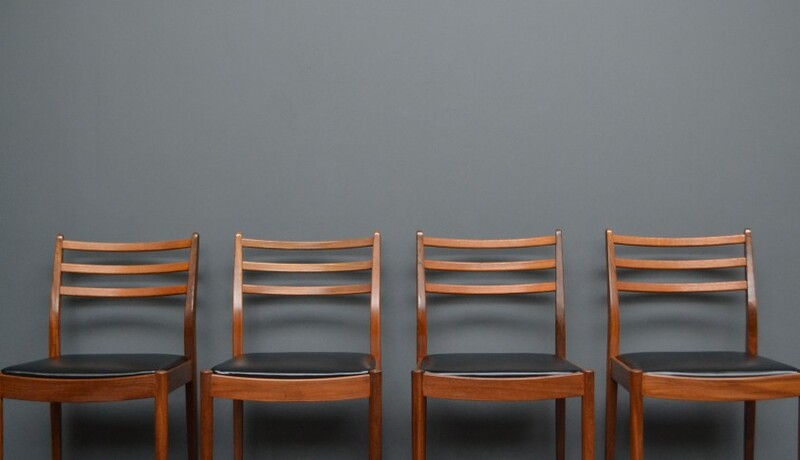 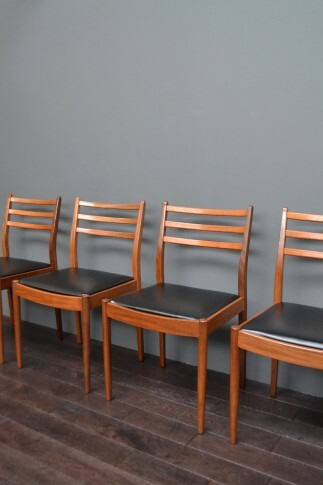 Set of four teak and black leatherette dining chairs. 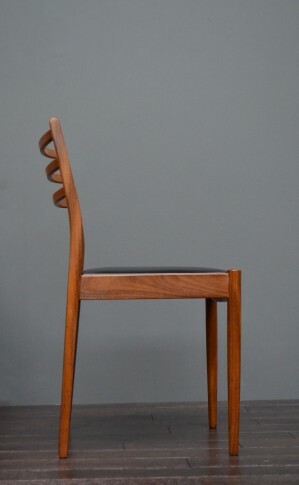 Designed by V.B. 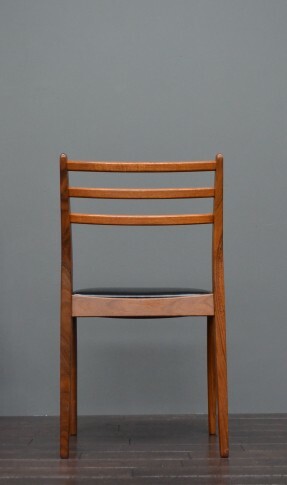 Wilkins for G-Plan, circa 1960’s. 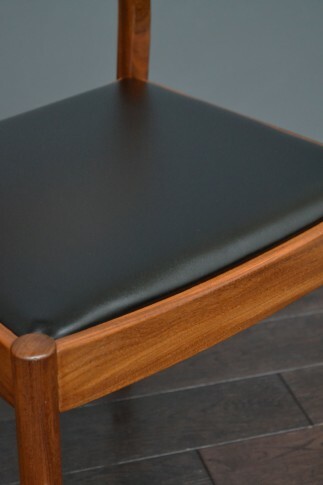 Reupholsted in a soft black leatherette fabric for a more contemporary touch to a vintage classic design.